Keys are one of the easiest things to lose. In fact, at this very moment, there is most likely someone who has misplaced their keys to their home, their car, or their business. What should you do when this happens to you? Your front door lock is the main source of protection between a possible intruder and staying safe with peace of mind. Losing your key is more than just an irritating inconvenience to mess up your daily plans. When you lose your key to your home, it’s important to immediately also get a new key made sense, even though you may get safely back inside, you can never be sure who has a copy to use later. When you cannot find the keys to your car, this is a panicked moment. Take heart knowing that it is actually a very common thing that happens to at least one person every day. Before electronic key fobs and state-of-the-art transponder keys along with other electronic features on vehicle windows and such, getting back inside the car and cutting a new key to get you back on the road was no big deal. With added technology and vehicle features, it not only makes it more difficult to break into the car but getting a new key could end up being costly if you have it done through your dealership. A knowledgeable and skilled technician, however, can often reprogram even the highest security key available today at a more affordable cost. Be prepared to show proper identification, and your vehicle makes, model, year, and VIN. Owning a business has added responsibilities, and one of them is making sure your building and employees are safe. 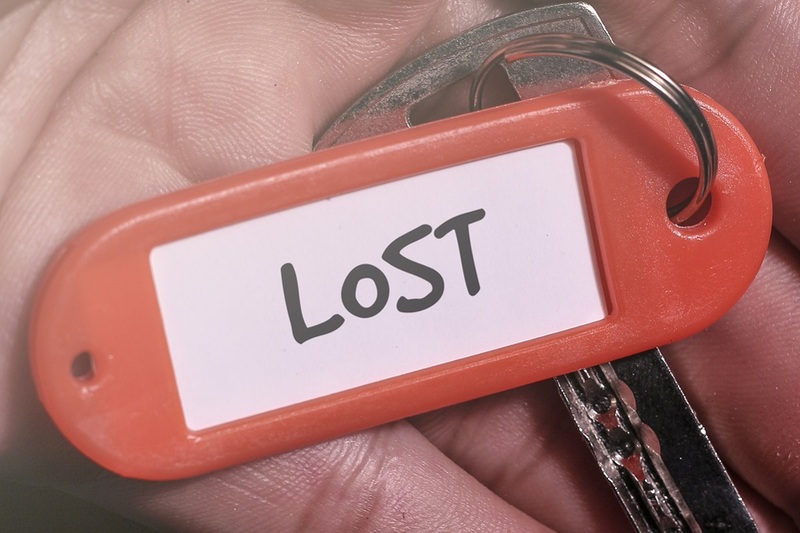 When you or an employee loses a key, there is a lot more at stake than a mere inconvenience. Your office is now unsecured. If it was a master key you lost, the problem intensifies. When you call for help, make sure you have proper identification to show the technician so they know you belong at this office and have the authority to make decisions about keys and locks. Once you have placed a call to a professional technician for help, make your next call to a friend or relative who will be able to come to wait with you so you are not alone. Be prepared always to show proper identification. Because you don’t know for sure who now has access to your keys, you will want to consider having your locks re-keyed or changed for safety sake.